Guys, it’s finally Autumn and even though I’ve been pretending the season started since August 31st now people wont yell at me for drinking pumpkin spice lattes and decorating my whole apartment! 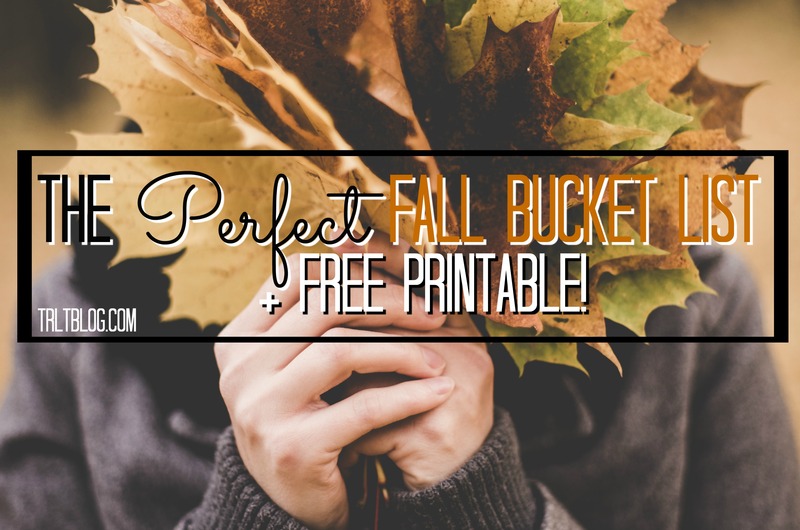 I love making Bucket Lists/Goals/Activity lists for different months/seasons/etc and I knew I wanted a cute fall Bucket List to hang up above my desk to keep me accountable so I decided to share what I created with you guys!! Here is my Autumn Bucket List! Don’t forget to print out your copy too!! 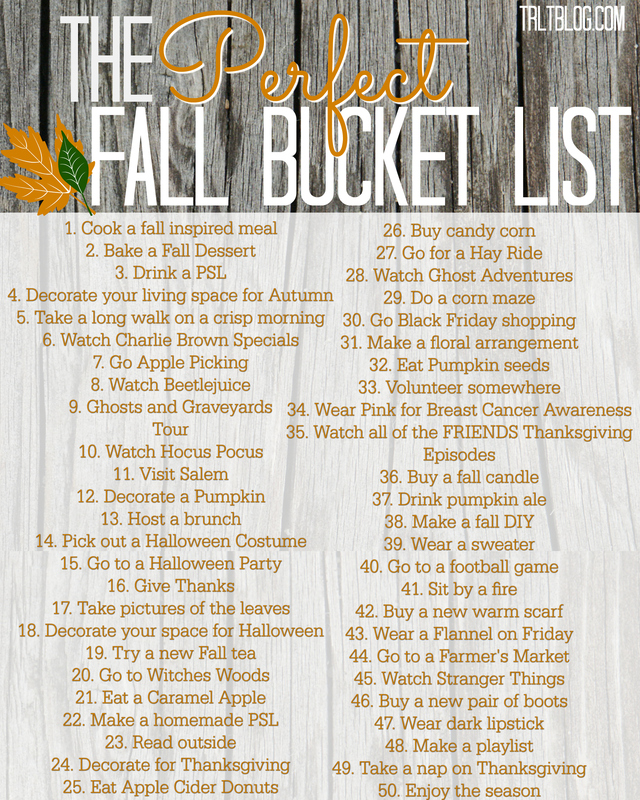 the-perfect-fall-bucket-list The link is a PDF version of the above image and you’ll be able to print it once you click it!! What are some things you want to accomplish this season?